Designed for high filtration of common household allergens. 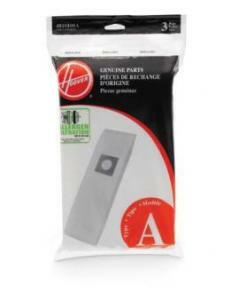 Type A Allergen filtration bags. The Hoover Style A vacuum cleaner bag is one on the most popular vacuum bags manufactured. This Allergen bag is designed for high filtration of common household allergens. The package includes 3 Hoover type A vacuum cleaner bags.